We all love counting down to any big occasion, and part of the magic of Christmas is all about the lead-up to the big day, and we celebrate this with Advent. Is there someone special in your life that would love a handcrafted Advent calendar? 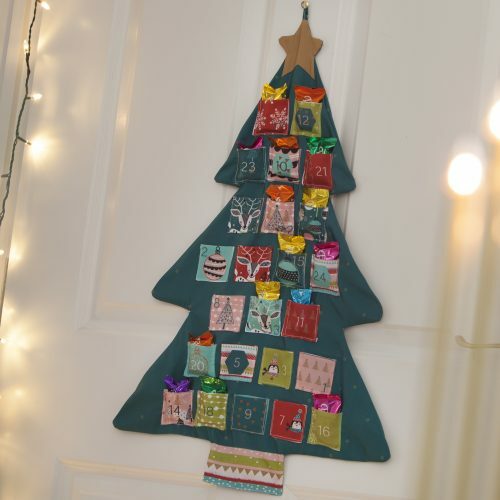 You can take your time over this festive make by following the step by step instructions that you’ll find in your Threaders Fabrikit, alongside the fabric panel and thread. The pattern pieces feature cute characters and have been printed onto the fabric, so all you need to do is cut and stitch! In this tutorial, Lizzy gives you an overview of the kit, offering some helpful advice along the way. Think of the joy that this gift would bring, knowing that you got ahead in plenty of time… And what goodies would that special person like hiding within each delicate little pocket? You can really use your imagination here! New Threaders Fabrikits are available from 2nd July. These are ideal for beginners or for those who like a quick project.